The temperature in Bai Chay beach is about 20 degrees Celsius around the year; it is an ideal place for you to enjoy your summer holiday. Island with beautiful Coral, the most beautiful island named Tuan Chau, Tra Co coast with white sparkling sands, Sung Sot cave with variety of stalactites and fossils inside, Yen Tu relic area and Cua Van coastal fishing village are the most attractive destinations in Halong. Tourists are fascinated by the magical beauty of Halong. If you travel to Halong, it is so hard for you to leave there. 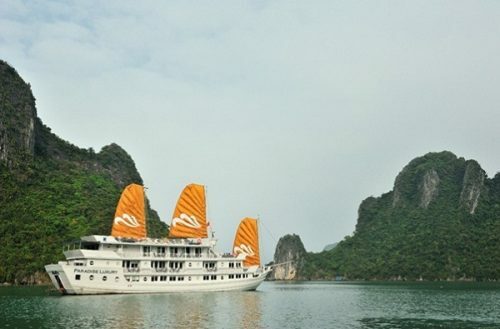 After visiting and taking photos in destinations in Halong, you will need to rest. The renting prices near center of Halong and Bai Chay range from 900,000vnd to 1,500,000vnd per night in summer. Typically, it costs about 600,000 to 800,000 per normal night. If you rent the hotels far from Halong or Bai Chay’s center, the price of renting hotels is cheaper. It is about 300,000vnd to 500,000vnd per night. But tourists usually want to rent hotels near Halong’s center and Bai Chay’s center because it is convenient for tourists to move and visit Bai Chay and Halong’s destinations without getting a taxi or motorbike. Travelling to Halong, you should find out information of specialties there and enjoy them. Octopus steamed with ginger, fried snails, and one more dish we need to know named grilled chopped fresh squid. It is so delicious. If you would like to buy some crabs to present your relatives or friends, don’t buy crabs from restaurants because they are extremely expensive. You can buy crabs in the markets or supermarkets instead of restaurants. Saying goodbye to Halong, we will travel to Ninh Binh. These are details of two popular routes for you. The second route is about 130 kilometers. From Halong, you move along national road No.18 and then turn onto national road No.10. From national road No.10, you just go straight through Hai Phong, Thai Binh and Nam Dinh province to the last place of the route is in Ninh Binh. I know that many people are carsick so you will be tired when moving a long distance by bus. You can drive motorbike or you can drive your car to get Ninh Binh from Halong. Or one more choice for you is that you can get a bus to get Ninh Binh. In fact, moving by bus is not only cheap but also safe and convenient. You can choose the buses of Hoang Long, Hai Thang or Vu Ngu from Bai Chay bus station (in Halong) to Ninh Binh with the fare from 120,000vnd to 250,000vnd. The fare depends on the bus agents’ service quality. The starting time of the bus is at 07:00 on Wednesdays, Thursdays, Fridays and Sundays. You will be surprised when getting Ninh Binh. 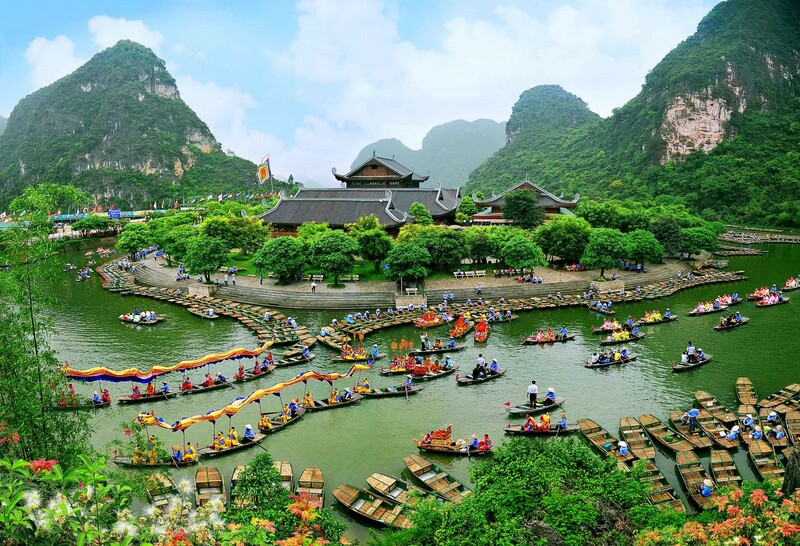 When you travel to Ninh Binh, you should not miss famous destinations there. You need to spend time to visit Trang An eco-tourism zone, Hoa Lu ancient capital, Phat Diem stone church, Tam Coc- Bich Dong, Bai Dinh pagoda, Van Long nature reservation zone. Trang An was honored as the World’s Culture and Nature Heritage by UNESCO in June 23rd 2014. Trang An is a population that contains many caves, mountains, valleys, lakes and streams. Everything is combined with each other naturally to create a perfect wonder. It is the most unique wonder in the Southeast Asia. Phat Diem stone church is mixed between Western and Eastern architecture. There has a lake in front of the church. There have mountains behind the church. Most parts of Phat Diem church like floor, walls, and columns are made from stone. This church was built up so that the Catholic come and spray and worship Blessed Mother. Visiting Van Long nature reservation zone with many pieces of rare plants and animals, you will have feeling that Ninh Binh has a pristine and poetic beauty. You also should distribute your time to visit Bai Dinh pagoda, Hoa Lu ancient capital and Tam Coc to not regret when you leave Ninh Binh. When travelling to Ninh Binh, you should taste Com Chay dish and dishes processed from goats in Ninh Binh. 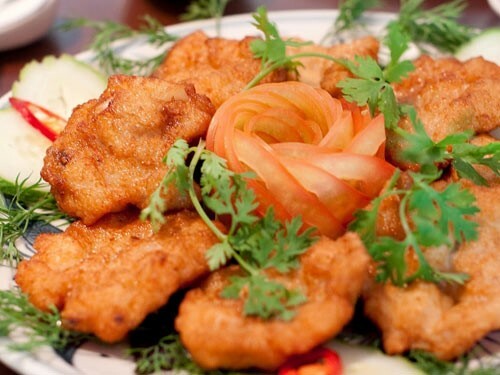 These are Ninh Binh’s specialties. You can travel around Ninh Binh during a day. However, if you have time and would like to spend two or three days on travelling and discovering Ninh Binh, you need to look for the hotels there. It costs from 220,000vnd to 350,000vnd per night for a hotel room in Ninh Binh city. 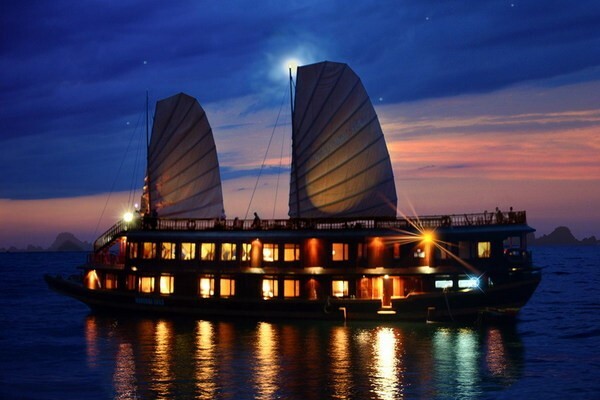 You can also choose some resorts to rest with the price from 800,000vnd to more than 2,000,000vnd per night. We would like to introduce some names and addresses of hotels in Ninh Binh to you. You can refer for your trip. The Long hotel is near Trang An and Tam Coc Bich Dong with the price of 300,000vnd per night. Xuan Hoa 1 hotel is in 31D Minh Khai, Ninh Binh city with the price of 220,000vnd per night. Canh Dieu hotel is in No.74 Nguyen Van Cu road, Van Xuan commune; Ninh Binh city has the price of 266,000vnd per night. Travelling Halong to Ninh Binh is an exciting trip. 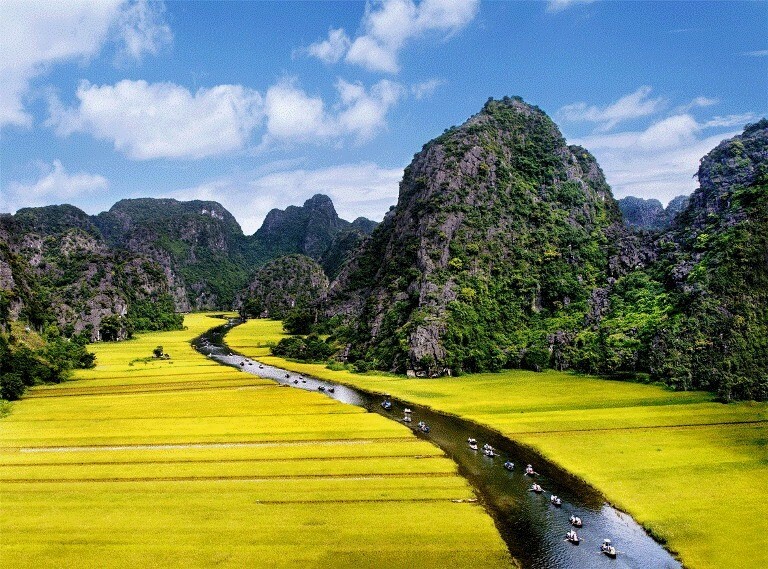 You have chances to experience the most beautiful landscapes in the North of Vietnam. 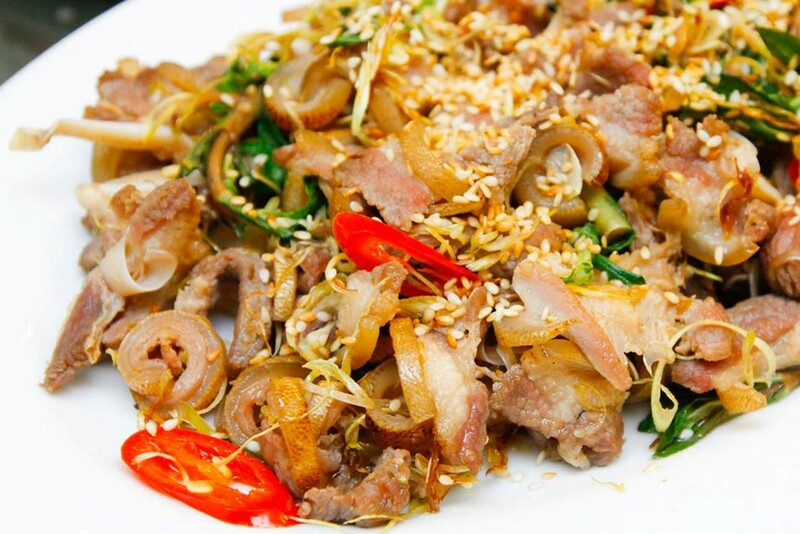 Moreover, you have chance to taste typical specialties there. You even get more knowledge of Halong and Ninh Binh to write down on your diary and have real experiences to share with your relatives or friends. It is so exciting and meaningful. 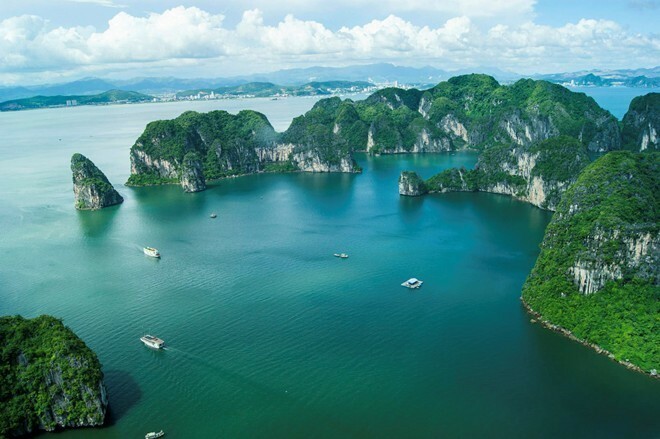 Have you traveled top beautiful destinations in and around Halong?